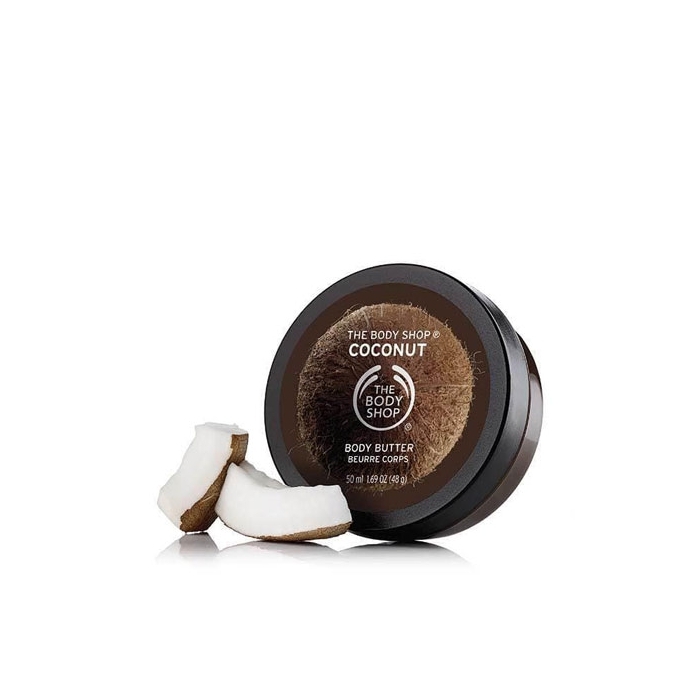 Transport yourself to the tropics! 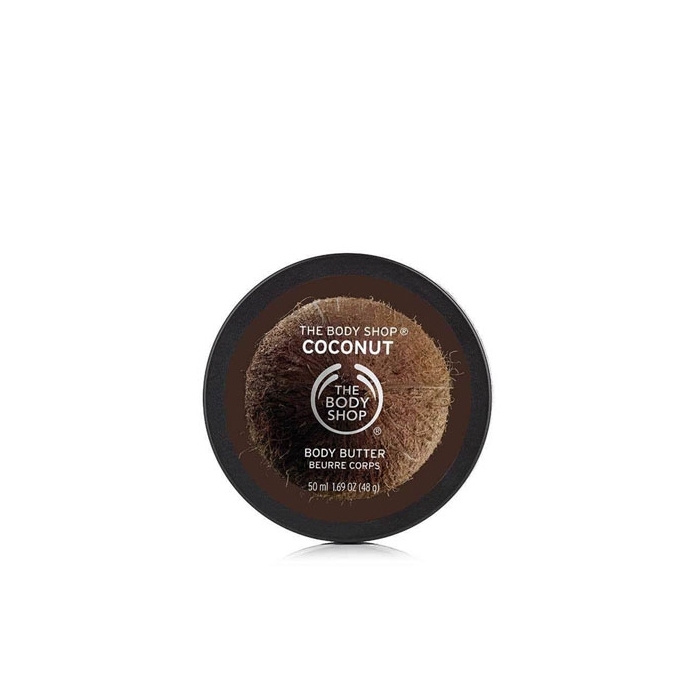 Combined with its buttery, long lasting moisture and irresistible tropical scent, it's an all round super-smoother! 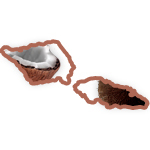 Our organic, Virgin Coconut Oil comes from Women In Business Development Initiative in Samoa, where coconuts grow naturally. 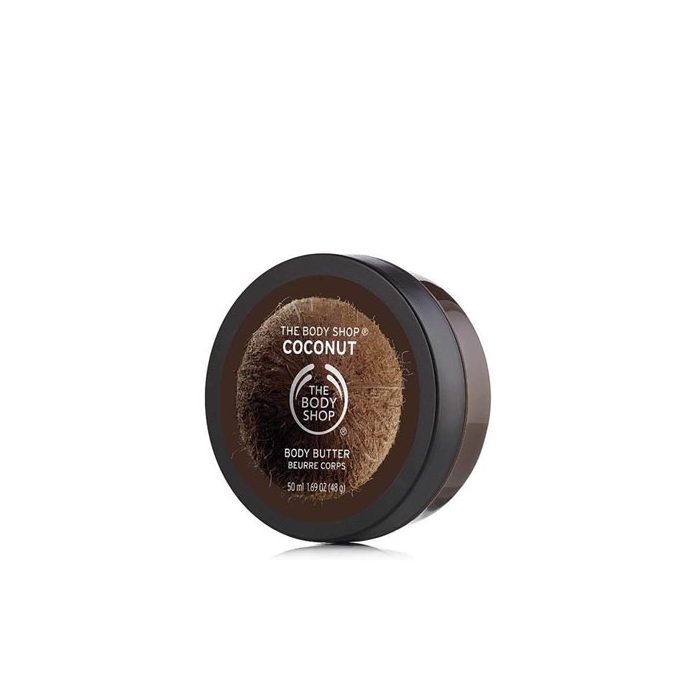 • Community Trade organic virgin coconut oil moisturises and softens the skin. 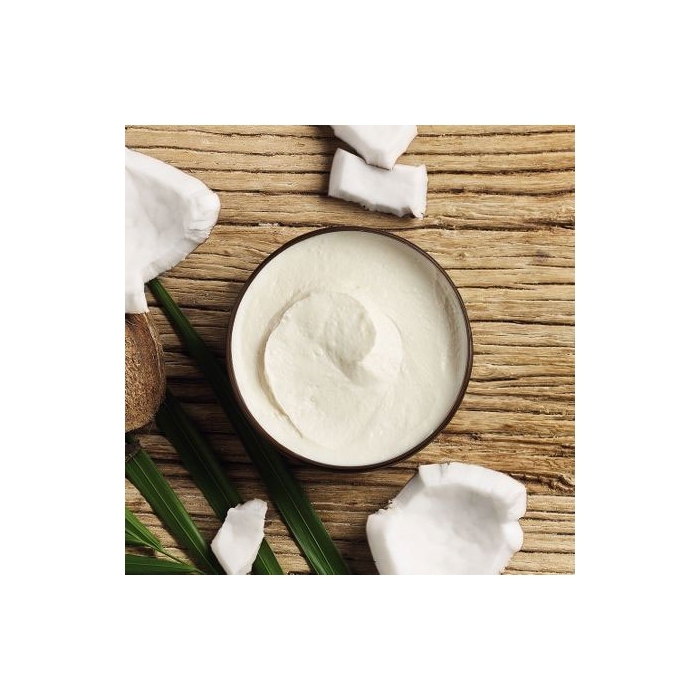 • Community Trade shea butter contains antioxidant vitamins E and F, which help protect and nourish the skin. 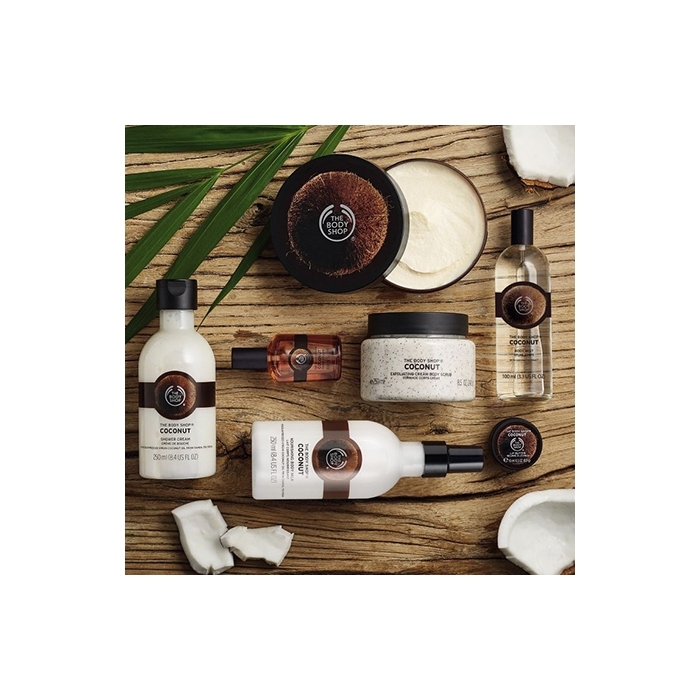 • Community Trade cocoa butter is an excellent moisturiser that melts at body temperature, so is absorbed quickly to leave the skin feeling soft and silky smooth. 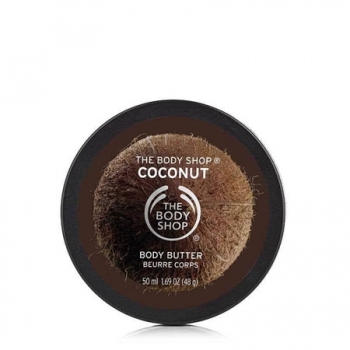 Aqua, Butyrospermum parkii, Cyclomethicone, Glycerin, Theobroma Cacao Butter, Helianthus Annuus Seed Oil, Glyceryl Stearate, PEG-100 Stearate, Cetearyl Alcohol, Cocos Nucifera Oil, Bertholletia excelsa, Dimethicone, Lanolin Alcohol, Trihydroxystearin, Myristamidopropyl PG-Dimonium Chloride Phosphate, Parfum, p-Anisic Acid, Xanthan Gum, Disodium EDTA, Sodium Hydroxide, Benzyl Benzoate, Coumarin, Butylphenyl Methylpropional, Caramel.